I got behind with Project Life. It was inevitable I suppose. And it's totally okay, I just don't want to get more than one or two weeks off if I can help it (it's a slippery slope, people). Here's a look at the overall layout. 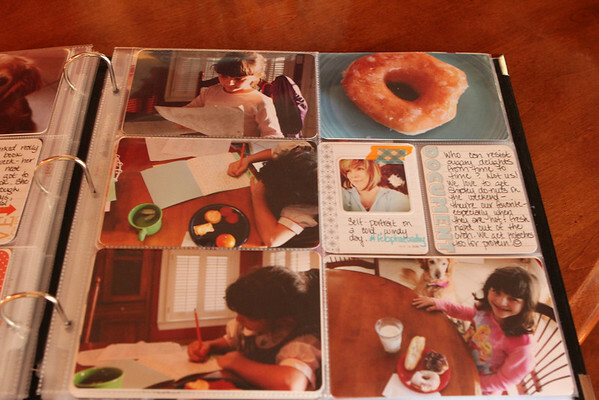 I used a 6x12 divided page protector for a few extra photos this week, it's so nice to have this option (especially since I have a hard time culling sometimes). A little closer look at the left side. I kept things fairly simple, as I am wont to do, with just my photos, kit cards & arrow stickers, a few stamps (I'm crushing on stamping on vellum and adding it over a photo) and a few swipes of wash tape here and there. A big part of this week was Annelise working on her first book report. 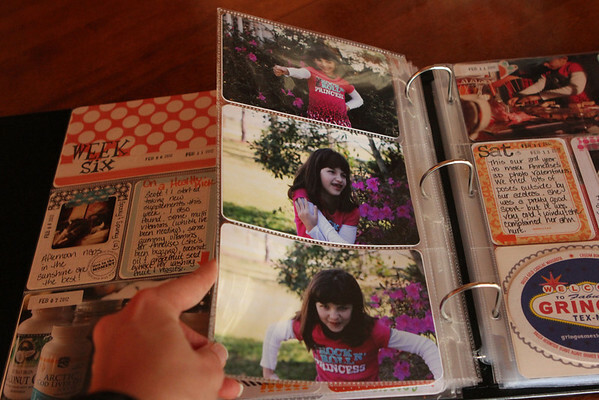 I trimmed a photo with her finished report (they made flip books) to fit in one of the 3x4 slots and included the others in the extra insert. 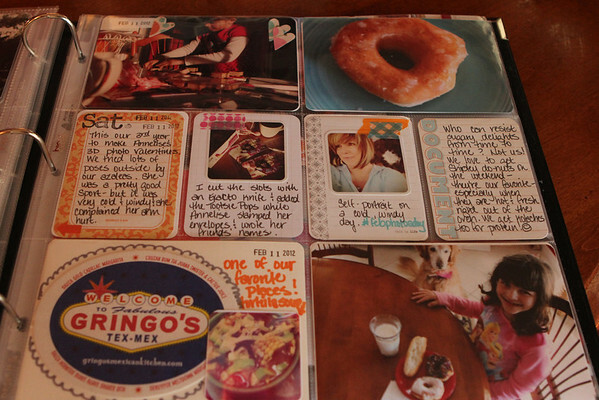 On the back side of the insert I included photos of how we made her 3D photo valentines this year. And here is the right side without the insert. A lot of the photos came from the same day, but I am okay with that. Some weeks will be more varied and some just won't. That's life. Everything will balance out eventually over the entire year I'm sure. I'm linking up with The Mom Creative, be sure to visit over there for tons more Project Life inspiration & ideas. Thanks for stopping by & happy memory keeping, y'all! I like the book report photo. Are donuts the universal V-day treat? LOVE them myself. Your pages look great and you can quickly catch up that's the great thing about this project! Your Sadie looks like my Charley! 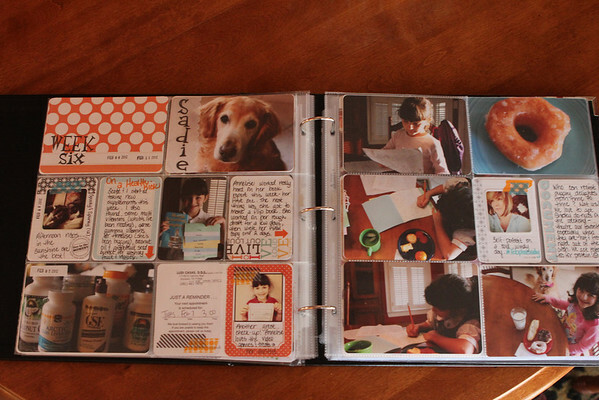 Fab pages, and I'm loving the orange-y colour theme that is scattered around the pages. Love your pages. Washi tape is awesome! 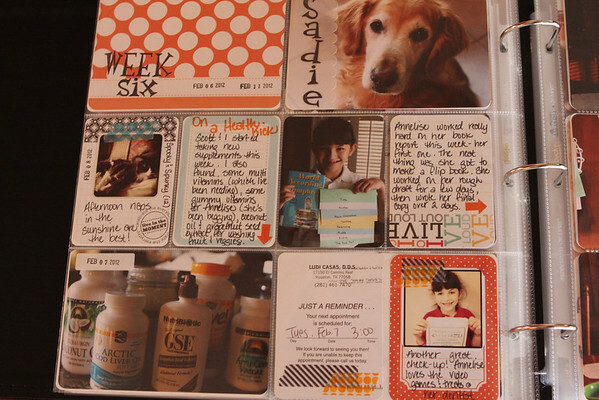 Do you happen to remember what stamps you used on your "week six" and "sadie"? I love the font! Liz: All of my alphabet stamps are from Stampin' Up but are ages old and most likely retired by now, sorry about that. The one I used for Sadie's name & the title card is called Quirky Alphabet. 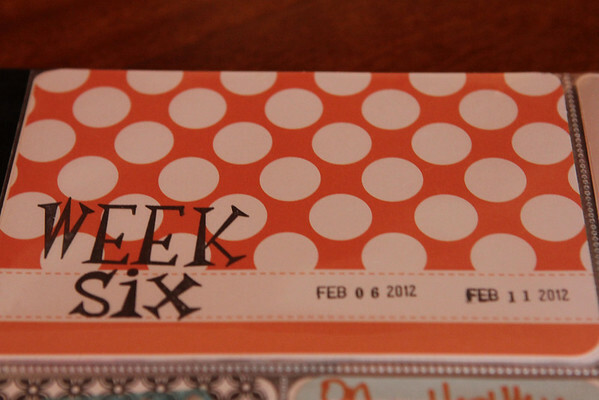 I finally bought my project life stuff, it's supposed to arrive next week! I can't wait!